6450 A six-fold paper screen painted in ink and colour on a buff ground with six horses, tethered to posts. Each horse is rendered as a particular animal through placement, pose and colouration. Umayazu byōbu (screens with horses in stables) have been in existence since the Muromachi period (1392-1568). There are mainly two types of these screens. In the first type the stables occupy the whole surface, and each stall has a painting of a horse. The second type along with the depiction of stables and horses include male horsemen and attendants seated on tatami (Japanese floor mats) which run the length of the stalls. A popular subject during the late Momoyama and early Edo periods (16th/17th centuries), these screens reflected the samurai class’s enthusiasm and concern for horses during those war-torn years. Often the images of restless, energetic steeds depicted on one screen of a pair, are contrasted with quiet, calm horses on the other. 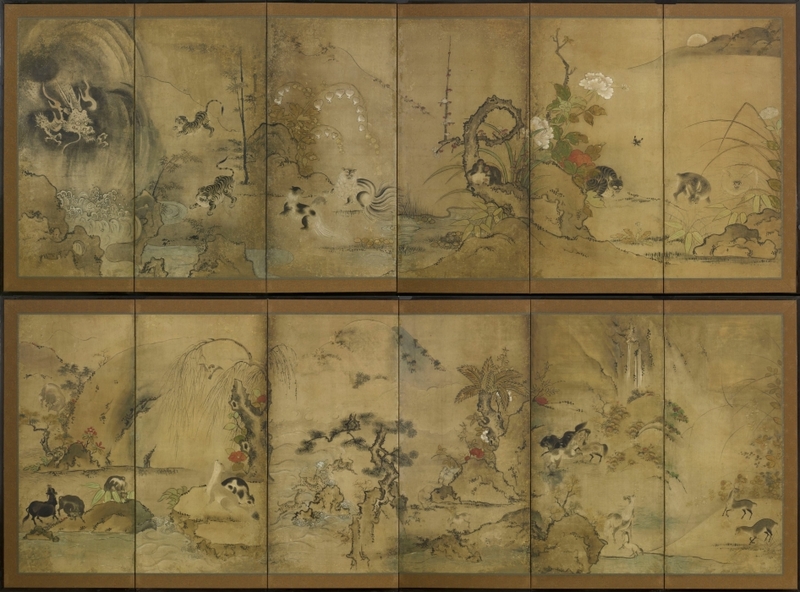 For similar examples see; Unfolding Beauty, Japanese Screens from the Cleveland Museum of Art, p. 8 and 9, pl1. Japan Heritage as Legend of Gold Biombo, p. 74 and 75, pl15 owned by the Imperial Household Agency Sannomaru Shozokan and pp. 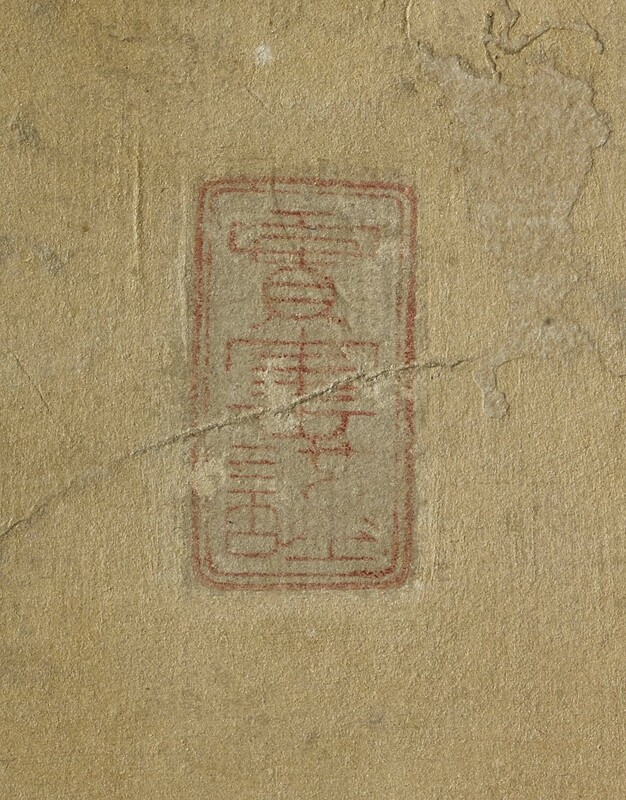 76 and 77, pl16 in the collection of the Tokyo National Museum. SKU: 6450. Categories: Screens, Six Fold.